StartCHURCH Blog - Can Instagram Get Your Church in Trouble? Can Instagram Get Your Church in Trouble? In this digital age, it seems that most of us are constantly glued to our phones, liking and following everything that interests us, including our church’s Facebook page and Instagram account. Social media is so readily available to most people, it seems like a no-brainer for churches to use these tools to their advantage. Who doesn’t want to share a photo of members engaging in fellowship after a great service?! Imagine that you’re an unsuspecting church photographer, getting a great photo of a group of people laughing and having a great time with the worship pastor - Instagram gold! But, what is the church’s liability in posting and sharing photos of church members? Does the church have a right to display photos of any and all members? To better understand the issue of privacy, let us review three types of privacy invasion that are common and how they may apply to your church. Intrusion occurs when one intentionally intrudes into a person’s private affairs in an offensive and damaging way. For example: The prayer team finds out that a member is having marital issues. The prayer team sends a counselor to the church member’s home to investigate the matter and to offer counseling. This is intrusion because the prayer team member assumes a negative situation based on potentially false information, spreads that information to others, and sends them to the member’s home without permission. This type of privacy intrusion can occur with even the best of intentions. Private facts invasion occurs by publicly sharing someone’s personal information without permission in a way that is offensive and damaging. Using the example above: if the member truly had a marital issue, private facts intrusion occurs if the prayer team members were to share this fact in a staff text as a prayer request. This may be embarrassing to the church member, and it did not need to be public information. False light invasion happens when one falsifies information about another person that is highly offensive, and the person spreading the false information knows he/she is not being truthful. In our example of the prayer team member and the church member, the person who began the rumor about the member’s marriage may be committing false light if he/she was sharing information known to be untrue out of revenge or to further his/her own agenda in the church. In light of what we have learned about privacy issues in an increasingly public world, how can a church properly manage social media outlets and photography content? We will next look at 3 easy steps you can take to create simple, effective policies regarding this issue. Though social media gives powerful and quick access to thousands, if your staff uses it in a misguided way, a job can be lost or the church can be sued because of a simple post on its social media account(s). Designating trained staff to review all content before it is posted. Requiring that posted photos be reviewed and that permission be given before using the photo of a recognizable person. Requiring that no dishonoring or controversial topics be discussed on the church’s platform. Requiring godly personal use of social media that does not taint the reputation of church staff and volunteers. Managing the use of photography becomes more involved the larger your church becomes. Your church has full rights to take photos on its private property and can also request that no photos be taken on its property. Establish a photography policy that clearly details that photos and videos may be taken during worship services and under what circumstances. The policy should also expressly state that the church retains all rights to public and private use of photography taken on the church’s property. This allows you some control over what is distributed and when. When sharing a person’s testimony or a photo that clearly shows an individual, it is best practice for your church to obtain written permission. This allows each individual to approve his/her likeness being used in church publications. It also helps protect your church against any false claims that a story or shared information was used without an individual’s permission. In 2018, viral videos and content is shared faster than we can keep up with. Using social media can be intimidating, yet can also be an incredibly helpful tool for churches. Though it may seem tedious, the best thing your church can do is to take every opportunity to ensure that what your ministry publishes honors God and those whom you are serving. If your church or ministry is in need of a social media policy, check out our Vision Applet in the Documents Suite. 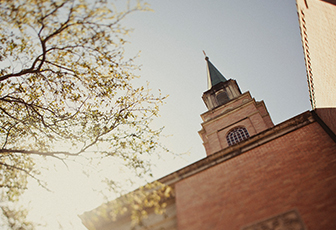 This resource provides these policies, plus many more, for your church to implement today.